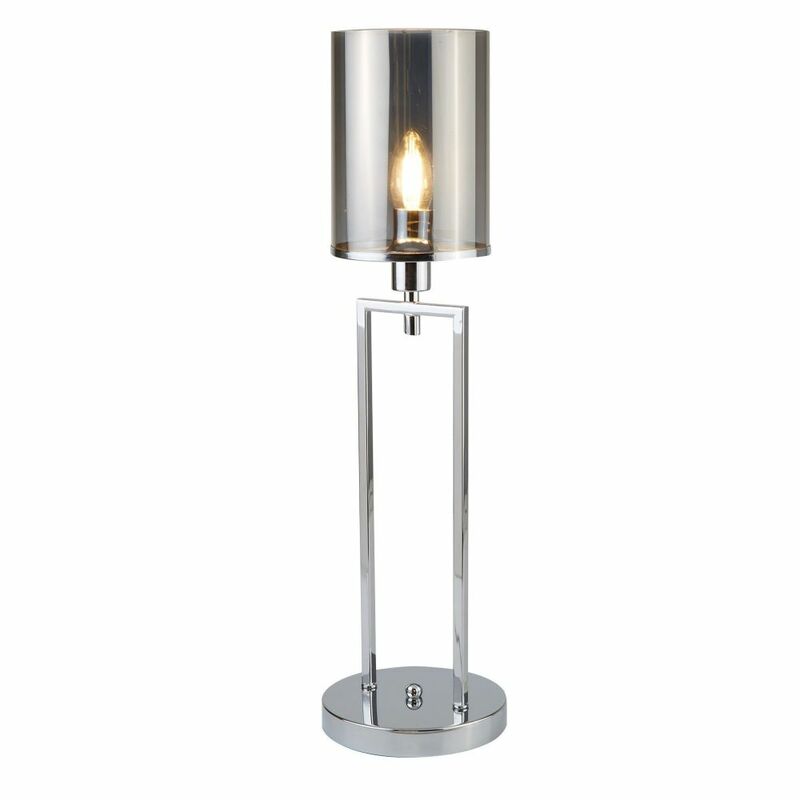 This Attractive Table Lamp Consists Of A Two Part Chrome Body And Distinctive Smoked Glass Shade. Using Smoked Glass Shades Allows For A Dramatic Finish As The Brightness Of The Light Contrasts Against The Dark Shade. A Single Black Braided Cable Hangs In-Between The Body And Adds An Edge To The Item. Ideal For Use On Desks, Offices Or Living Room Tables.